Bruce Willis is back in action -- mind-blowing, heart-stopping, rip-roaring action -- as John McClane, the heroic New York cop with a knack for being in the wrong place at the right time. 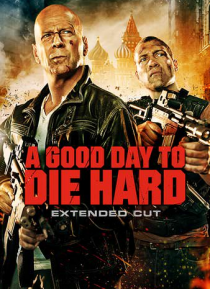 John's latest predicament takes him all the way to Russia to track down his estranged son, Jack (Jai Courtney), who has been imprisoned in Moscow. But the mission takes a deadly turn as father and son must join f… orces to thwart a nuclear weapons heist that could trigger World War III!